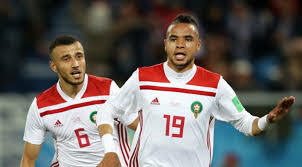 The Royal Moroccan Football Federation sent a letter to FIFA President Gianni Infantino concerning refereeing mistakes that were made during Morocco’s matches at this summer’s FIFA World Cup in Russia, the federation said on its Twitter feed on Thursday. The federation wrote that their national team faced “injustice,” which led to Morocco being knocked out of the World Cup. The Atlas Lions lost their chance to reach the round of 16 after losing to Iran and Portugal in their first two games. The Moroccan federation listed the referees’ decisions in the matches with Portugal and Spain that “deprived the Moroccans of the opportunity to play with the rivals on equal basis” and gave their opponents extra benefits, even despite the video assistant referee (VAR) system being used. The letter also urged Infantino to maintain FIFA’s image and take measures to eliminate injustice by providing all the teams with equal conditions. Morocco’s supporters tried to draw FIFA’s attention to “terrible officiating,” chanting obscene slogans during their match against Spain. The side’s head coach Herve Renard said after the game that referees’ job was hard, but he had questions in regards to their decisions. Morocco twice took the lead but eventually drew 2-2 with Spain in Kaliningrad on Monday. Renard’s squad finished bottom of Group B with one point, while the 2010 champions topped the pool with five points, qualifying for the round of 16 where they will face hosts Russia.